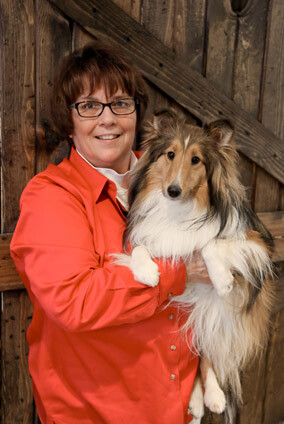 Nicki first joined Eagle Animal Hospital & Pet Resort when she was 17 years old, as a kennel attendant in 1974. The next year, she took on the role of receptionist and was an integral member of the veterinary hospital staff for the next decade. Nicki returned to Eagle Animal Hospital as practice manager in August of 2002. Nicki oversees the operations of the hospital and keeps the animal care team working together at all times. She handles accounts payable and receivable, payroll, administrative support, customer service, and human resources. She holds an Associate’s degree in business from Maple Woods Community College. Nicki most enjoys the relationships she has developed with clients and staff and the wonderful pets and people she has met. “We have caring and compassionate people in the veterinary profession,” she says. At home, Nicki has a Sheltie named Holly and enjoys watching movies, reading, and spending quality time with her family. Renee joined our team in January of 2001—transitioning from kennel staff, to receptionist, to veterinary assistant, and then registered veterinary technician in 2005. She earned her Associate’s degree in veterinary technology from Maple Woods Community College. 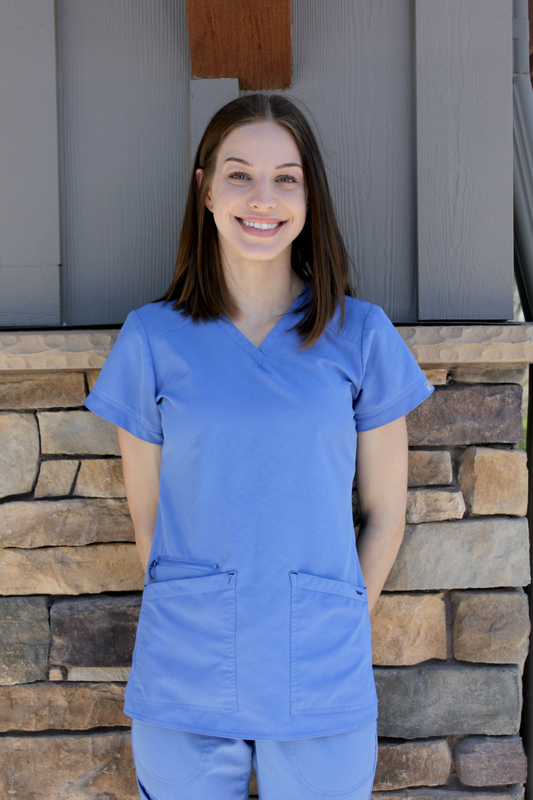 Renee’s pet care duties include monitoring anesthesia, assisting with radiology and surgery, dentistry, drawing and running lab work, placing catheters and bandages, wound care, and client education. She prides herself on being patient and calm during stressful situations. We consider Renee as Eagle’s Best Phlebotomist. When she’s not working, Renee likes being with her husband and two children. The family has a Cavalier King Charles Spaniel named Ari, a Pit Bull named Jax, and two sibling cats, Hulk and Princess Marshmellow. Jo graduated from Maple Woods Community College with an Associate’s degree in veterinary technology in 2006. 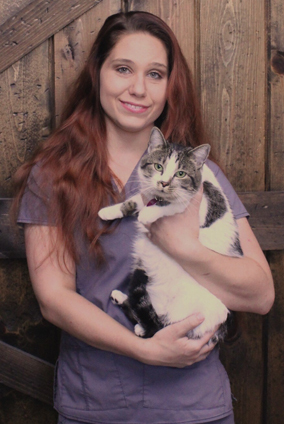 Now a registered veterinary technician in Missouri, she joined our team in March of 2002. 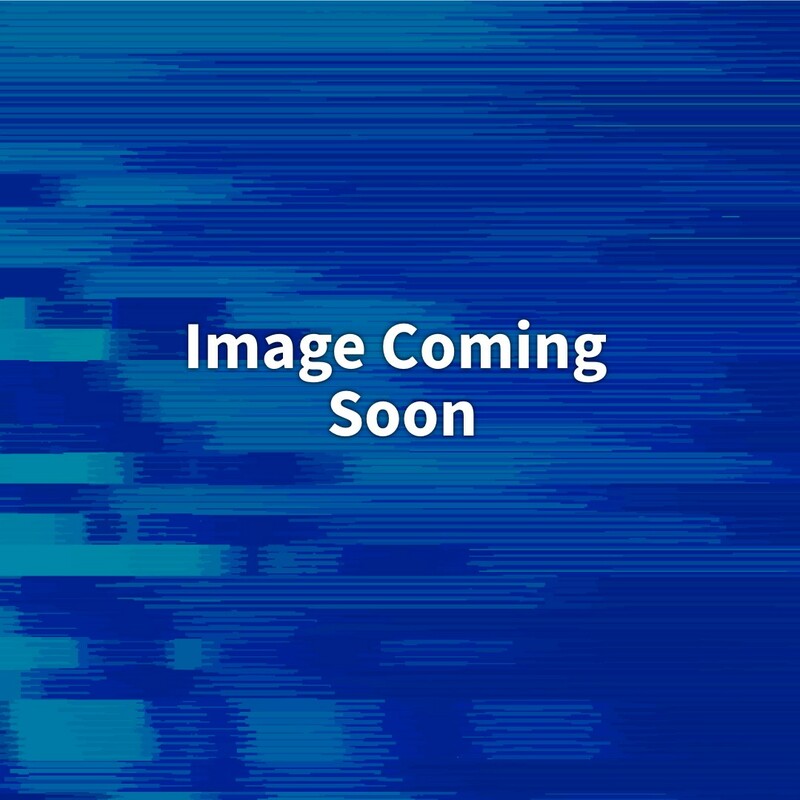 Her responsibilities include providing care to our hospitalized patients, assisting with surgery, radiology, pet dentistry, laboratory diagnostics, bandage placement, and client education. “I love getting to be directly involved in our patients’ care and see them through their time here,” she says. “I feel lucky to work with a group of people that get along so well and enjoy hanging out after work.”Jo has an Australian Shepherd named Kobe and three cats, Oliver, Ralphie, and Stella. She enjoys horseback riding, traveling, and spending time with friends and family. 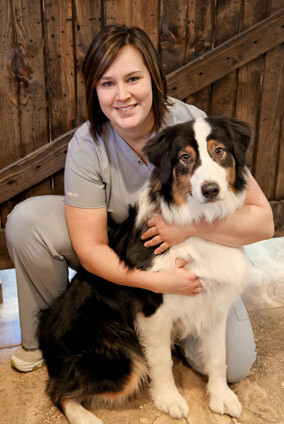 Stephanie has worked in the veterinary care industry since 1995, joining Eagle in 2007. She acquired her Associate’s degree in business from Maple Woods Community College. 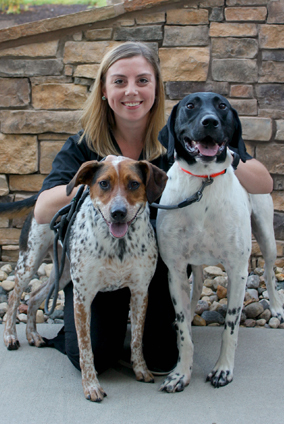 “Eagle Animal Hospital is unlike any other veterinary hospital I’ve worked at,” she says. 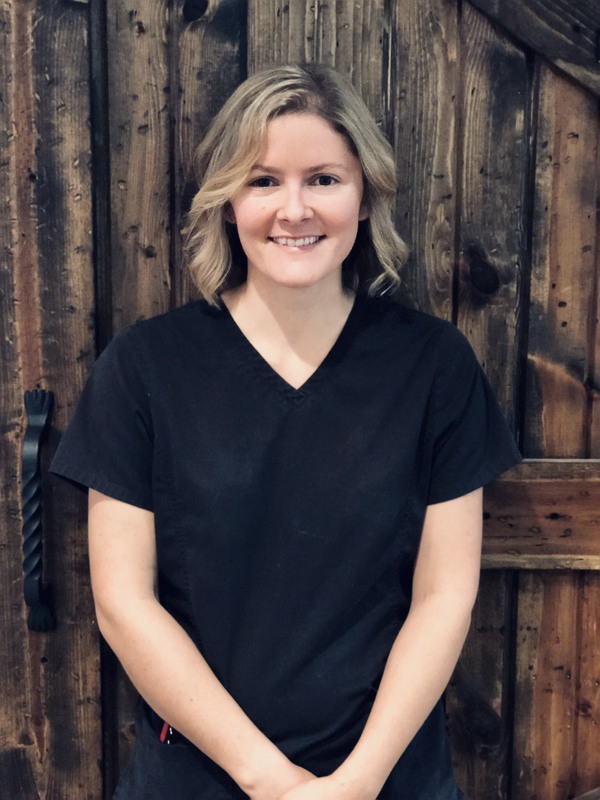 “The veterinarians and staff are truly passionate about their work and invested in the clients and their pets.” Stephanie’s favorite part of her job is neonatal care and pet dentistry. 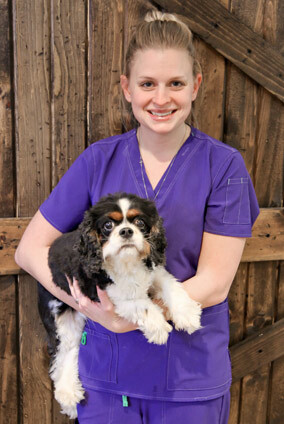 Stephanie’s responsibilities as a veterinary technician include, drawing blood, catheter placement, taking radiographs, monitoring anesthesia, dental cleanings and prophylaxis, assisting in surgery, bandage care, and client communication. In addition to her role as a veterinary technician, Stephanie enjoys managing the hospital’s inventory and social media accounts. When she is not at work, Stephanie enjoys spending time with her husband, family, and friends. She is kept busy with her teenage son and daughter’s after-school activities. The family has two dogs: a Jack Russell Terrier named Finnigan; and a Shih-Poo named Tilly. They also care for a cat named KitKat. 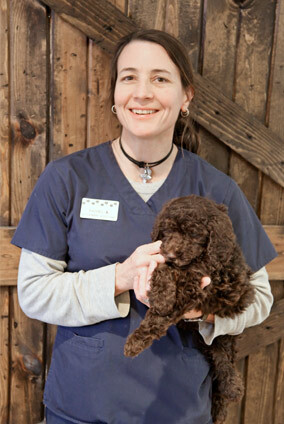 Carol joined Eagle Animal Hospital & Pet Resort’s team in 2010. 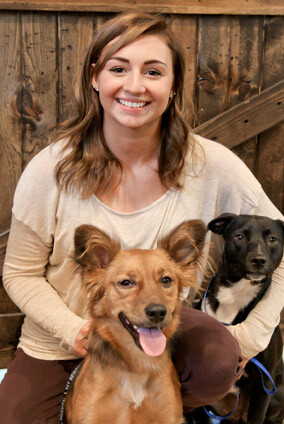 She has worked as a kennel assistant, pet daycare manager, and her newest position as a veterinary assistant. 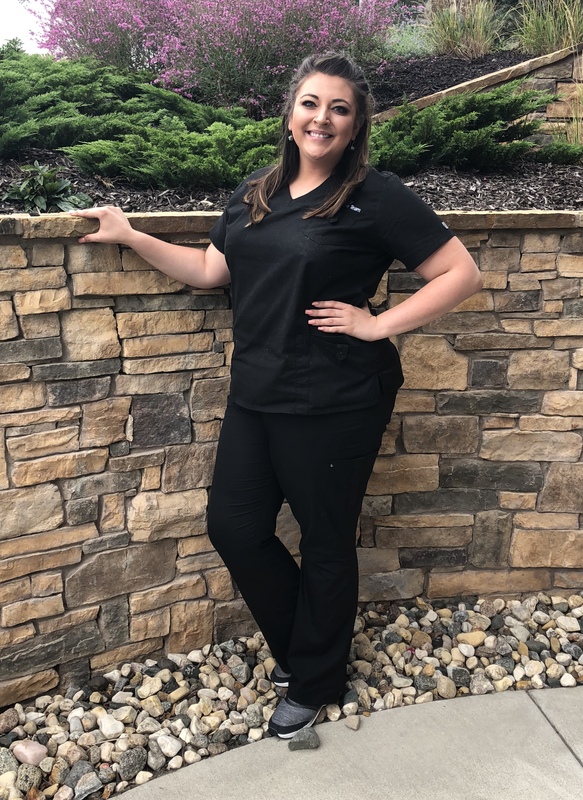 Carol’s new responsibilities include assisting the technicians and veterinarians with procedures and patient care while she is currently attending the Veterinary Technology program at Maple Woods Community College, class of 2019. She also teaches yoga at In Bliss Yoga. “I love getting to play with dogs all day, but the people I work with make this the best job in the world,” she says. Carol holds a Bachelor’s degree in animal science with a minor in captive wild animal management from the University of Missouri. She interned as a zookeeper at Dickerson Park Zoo during the summer of 2012. Taylor has been a member of Eagle’s team since June 2018. You may remember her as kennel assistant taking care of your pets while they are boarding. Taylor now is one of our assistants. As an assistant she runs blood work in our hospital, assist the doctors with patients, helps with radiographs, and cares for the patients in the hospital. Taylor is currently a student working toward a general education in Arts. She has a Rottweiler named Lincoln, a Wheaten mix named Oliver, and a chubby black cat name Inka. In her free time, she enjoys spending time at the gym and practicing aerial yoga. She would like to become a certified yoga instructor. Leah joined our staff in August of 2018. She is no stranger to Eagle though. Leah has been a long time client of ours. At Eagle, Leah assists the veterinarians and technicians with patient care, treatments, procedures, and lab work. She brings a long history of adopting and fostering geriatric animals and a deep appreciation for senior pets. Leah has her Bachelor’s in Sociology at the University of Missouri and is currently a student in the Veterinary Technology program at Maple Woods. Although, she is new at Eagle, she came from KCPP as a surgical assistant. Leah also shares, “Having brought my own animals to Eagle for 15 years, I knew the people here treat each and every animal as an individual and part of their own family!” Her pets include Midnight a 10 year old Lab/Pit mix, Minerva a 6 year old tabby cat, O’Malley a 12 year old Domestic shorthair, and a 3 year old Tortie named Ember. When not studying, Lean enjoys any time spent with her husband and two children. She also likes finding unique restaurants and cooking new recipes… although she says she isn’t patient enough to do much baking. Liz has been a member of the Eagle team since October 2018. She has a Bachelor of Science in Ecology and Evolutionary Biology, from UNC in Colorado. Liz comes to us with over 2 years of veterinary related experience Some of her responsibilities as an assistant at Eagle include assisting the doctors and technicians holding your pets for procedures, collecting and running bloodwork, administering medications, and keeping the patients comfortable. Liz has a very easy going personality which makes her an asset to us. She brings a calm demeanor and welcoming attitude for a healthy work environment. Her calmness makes all the patients feel at ease while they are in our care. Liz has a Beagle named Lily and a cat named Bear. During her free time she likes to cook. When she is able to get home to Colorado to visit family, she enjoys fishing and being outside as much as possible. Liz loves the nature and tries to fill her home with as many plants as she can. Jenna joined our Client Care team in June of 2014. As part of Eagle Animal Hospital & Pet Resort’s commitment to customer service, she is always attentive when it comes to the needs of our clients. She greets everyone who visits our hospital, checks them in and out of appointments, and answers incoming calls. “We are a close group,” she says. “Friends outside of work as well as during working hours.” Jenna’s spare time is spent with her young son, friends, or reading, watching movies, and shopping. 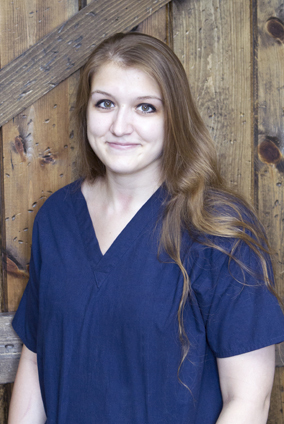 Mariah joined Eagle Animal Hospital & Pet Resort’s Client Care team in January of 2015. Her willingness and desire to help our clients as best she can has made her a valuable addition to our team. Some of her responsibilities include checking clients and their pets in and out, taking phone calls, and scheduling appointments. When she’s not working, Mariah keeps busy with her daughter and her three mixed breed dogs, Lola, Casey, and Nike. 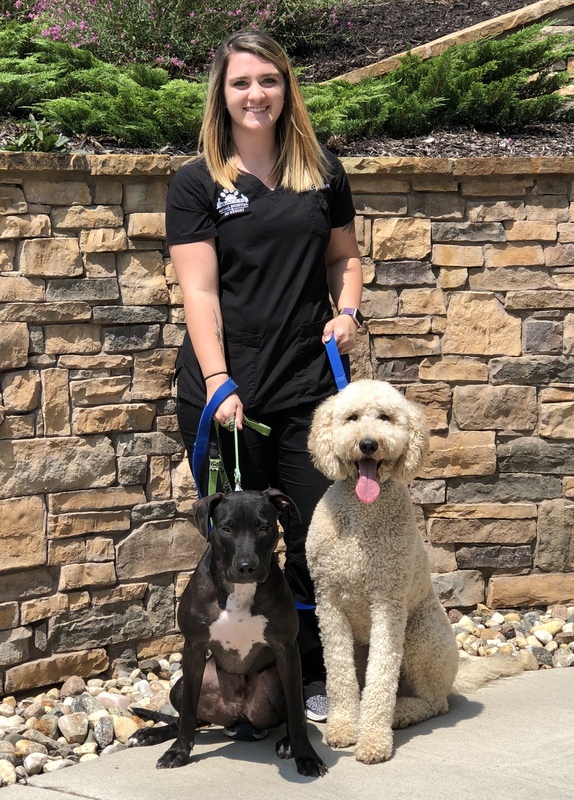 Lexi started as a full-time receptionist at Eagle Animal Hospital in July of 2017. She greets and checks in clients upon arrival, schedules appointments, and helps the office run smoothly. Lexi has a BA in Psychology and Social Science. Lexi is very outgoing and loves getting to know new clients and co-workers. She enjoys seeing the bond between pets and their owners, and has two dogs of her own, named Diesel and Hazel. Hazel is a trained emotional service dog. Lexi loves taking them to the park and teaching them tricks in her free time. 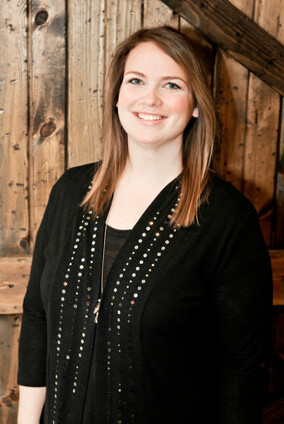 Haley is a member of our Client Care team. She joined Eagle in May of 2018. She brings a plenty of customer service experience. This knowledge helps her relate to every pet owner who walks through our doors. Her position gives her the opportunity to meet all our clients as they arrive to Eagle. She’s here to keep you informed and assist you with checking in and out. Haley owns a mix breed dog that looks like Scooby Doo. His name is Mercury…or Merc. In her free time, Haley loves spending time with her family. Family is everything to her. She loves to hang out with her adorable niece, older siblings, and fur family which includes Zoe the Great Dane, Turbo the fluff ball and 3 Labs: Hunter, Caesar, and Molly. She enjoys going to the pool, baking, trying new recipes and shopping. We welcomed Samantha to Eagle in July of 2018. When coming in to Eagle, she will be one of the first faces to greet you. As a client care team member, Sam is responsible for answering the phones at Eagle, scheduling appointments, and checking patients in and out. She has been in customer services for over 6 years and has already formed a bond with our clients here. Samantha came to us with prior animal client service experience and years of living the farm life. Samantha owns a 2-year-old Golden Doodle named Bentley and a Pitbull mix named Milo who just turned one. Growing up she showed pigs in middle school and high school. She loves to go hiking with her husband and their dogs as well as taking them camping and fishing. 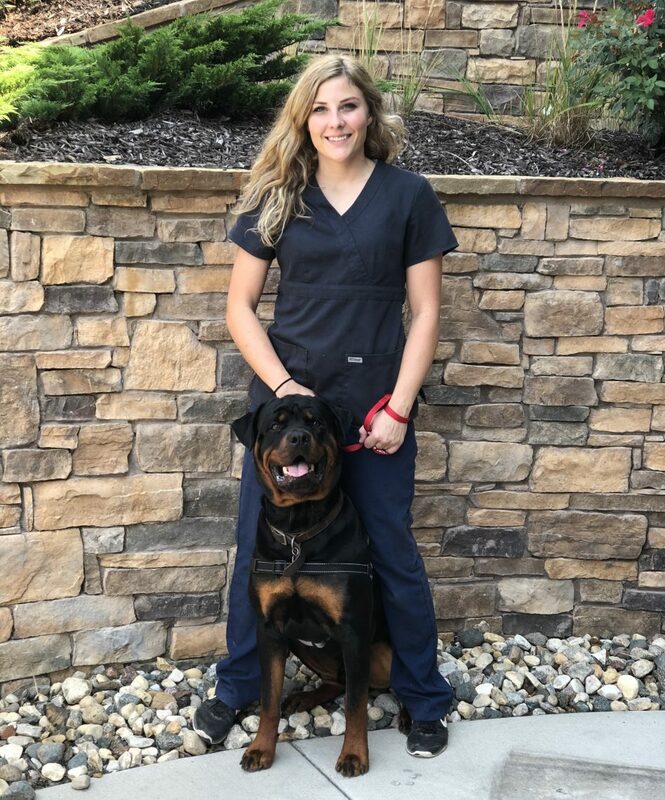 Allie joined the Eagle Animal Hospital Client Care team in February 2019. She came with 6 years of animal related experience. Allie has worked as a receptionist and as a doggie daycare attendant in Kansas. At Eagle, she is one of the first voices you hear on the other line of the phone. 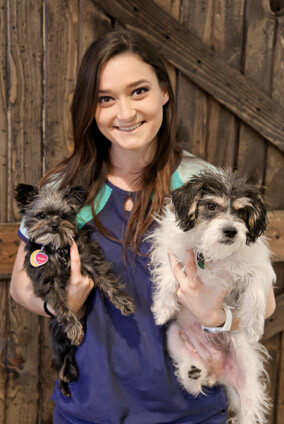 Allie is responsible for setting up appointments, filing, checking in clients and their pets and checking them out. Allie Has a black Lab mix named Darth Vader and a Pitbull mix called Frank. In her free time she enjoys working out and taking her dogs to the park. 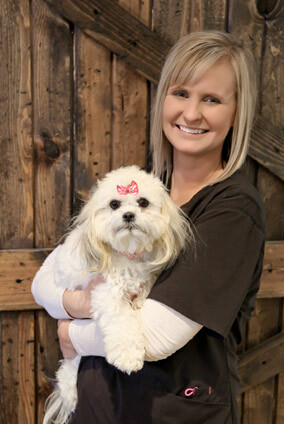 Megan has worked in the veterinary field for over 11 years. She joined our team February 2019. Her work experience includes horse trainer, emergency clinic veterinary assistant, and animal control officer. 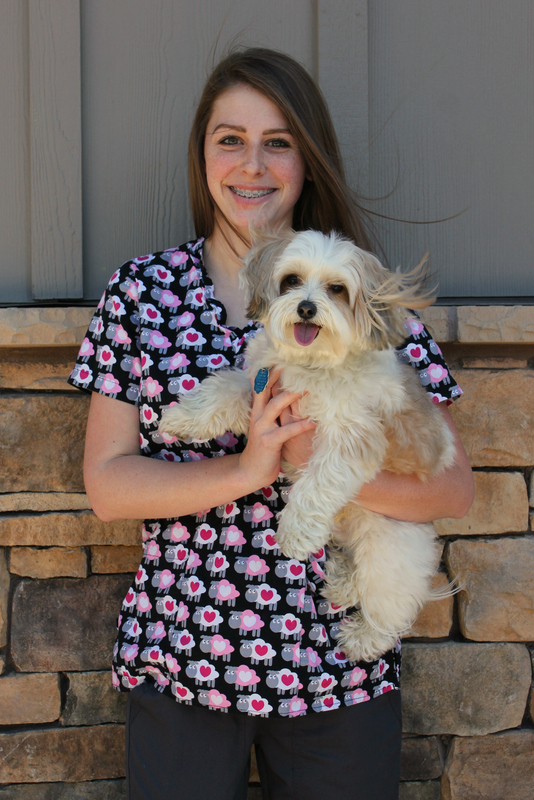 Megan is able to help you and your pets as you walk in our doors. “The best part about my job is the interactions with the clients and making people’s day better.”, she says. When Megan is not working she enjoys reading Stephen King novels, riding her horses, writing novels, working out, and traveling. She owns 3 dogs (Hank, a Border Collie, Heide an Aussie, and Chico a Chihuahua). She also has 2 horses, (Dixie and Cayenne the Quarter Horses). She enjoys agility and Barrel Racing as well. At home Rachel has four cats (Moth, Ginger, Screamy Dan, and Dozer) and a miniature Dachshund named Missy. She enjoys weightlifting, hiking, bird watching, studying insects, and shooting. She also loves baseball. Shelby joined the Eagle Animal Hospital Team as a kennel attendant in November 2016. Her pet care duties include caring for the animals boarding at the hospital—feeding them, administering daily meds and giving baths. “I started bringing my own animals here about a year ago and I just fell in love with the place. It’s got a great atmosphere and great people working here,” she says. 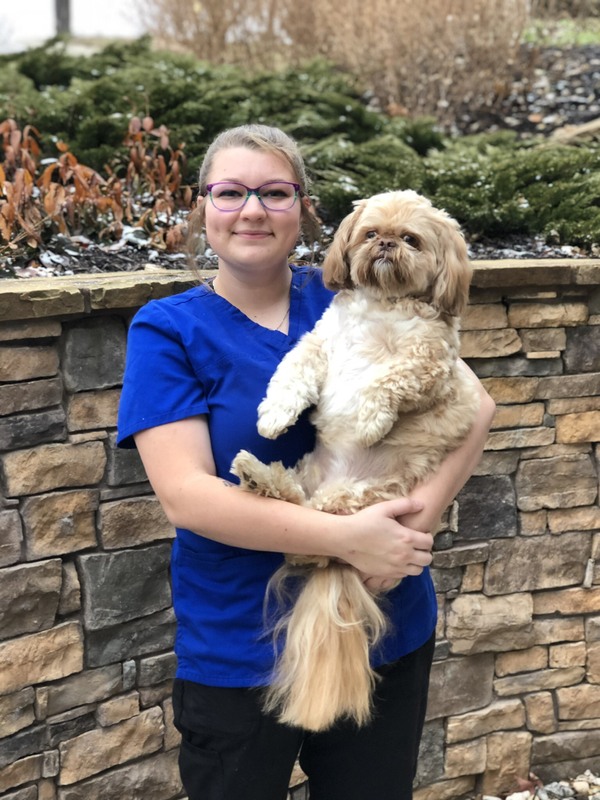 Shelby is hardworking and eager to learn, so much so that she hopes to be enrolled in the Metropolitan Community College-Maple Woods Veterinary Technology program within the next year. At home, Shelby has a cat named Khaleesi, a six-month-old kitten named Frankie and a six-month-old ferret named Joey. When not working, she enjoys watching baseball, fishing with her father, reading and playing with her pets. Lauren was welcomed into the Eagle family in August of 2018. She is one of our kennel assistants. You will see her when you drop off your pets for boarding or for a bath. Her responsibilities include kennel cleaning, feeding the dogs and cats that are staying with us, giving baths, and letting the dogs out and back in. Lauren brings a great love of pets and compassion for animals. She has over two years of animal-related experience as a kennel associate and lodge supervisor. Lauren is currently enrolled at Maple Woods working on her Associate in Arts. Patrick joined our kennel team in May 2016. 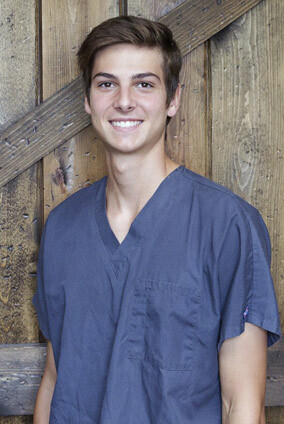 He says, “Eagle Animal Hospital is one of the best hospitals I know of and it is very good at taking care of animals in the best way possible.” His responsibilities include feeding and taking out dogs, taking dogs downstairs for boarding and daycare, and giving dogs baths. Patrick is hard-working and he enjoys his job while doing it to the best of his ability. At home, Patrick has a five-year-old Cavalier King Charles Spaniel named Lacey. In his free time, he enjoys playing sports, particularly baseball, as well as hunting and fishing. In 2017 Patrick will attend the University of Missouri as a pre-veterinary student. 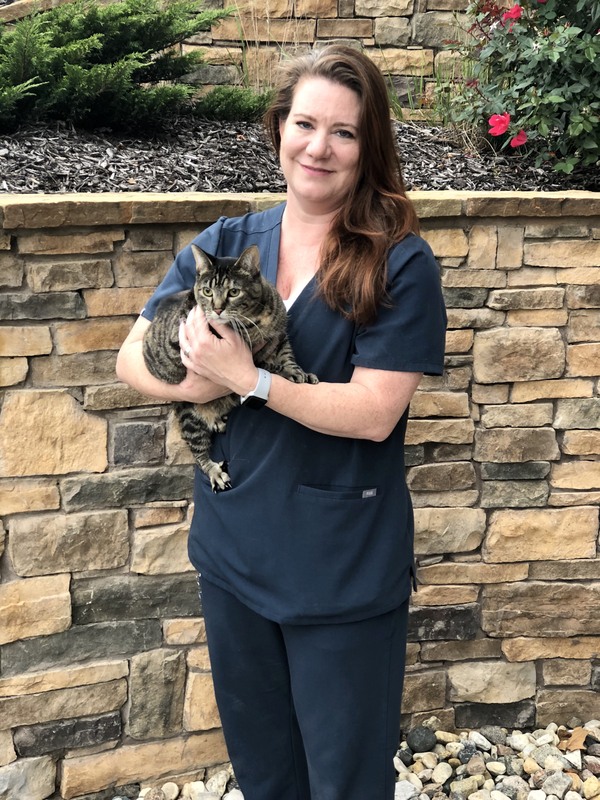 Courtney joined eagle Animal Hospital in March of 2018. She’s no stranger to Eagle though. Courtney has spent 2 years with us as a Professional Studies Intern through the Parkhill School District. Some of Courtney’s job responsibilities as a kennel assistant include taking care of the animals that stay at Eagle. She walks the dogs, feeds, and bathes boarders, along with taking them outside. Courtney says, “The best part of my job is being able to love and care for animals while their families are away.” Her kindness and nurturing personality shows with all her interactions with our clients and their pets. During Courtney’s free time she enjoys horseback riding, spending time with friends and family, and caring for her own pets, which include: Jackson a Morkie, Kitten a Calico cat, and Harold a Beta fish. Michelle joined our team in April 2018 as a kennel assistant after spending time with us shadowing. As a kennel assistant, Michelle is responsible for feeding and letting out the dogs, taking daycare dogs back to their parents at the end of the day, giving medications, and giving baths and nail trims. Michelle brings her positive attitude and passion for this field which shows in her interactions with the pets, coworkers, and clients. She is hoping to be accepted to the vet tech program this spring. When not working or going to school, Michelle enjoys spending time with friends and her boyfriend, playing with her cats, working out, and playing volleyball and tennis. She also enjoys spending time with her nieces and nephews. She loves her family!! After four years in the animal care field, Ashley joined the kennel team at Eagle Animal Hospital & Pet Resort in August 2016. Her responsibilities include walking dogs, cleaning, medicating cats and dogs, and bathing and trimming nails. Ashley loves being able to interact with dogs all day long.